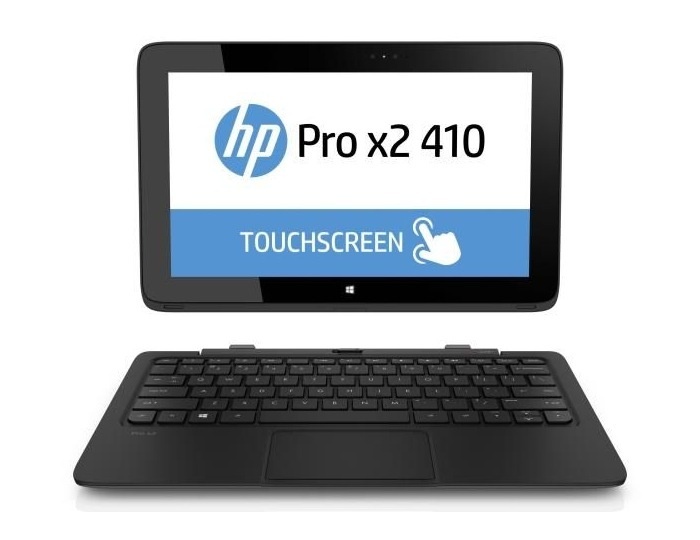 CES 2014: HP Pro x2 410 is a Laptop and Tablet In One | OhGizmo! HP is turning heads at CES 2014 with all of their new releases, this time, with the HP Pro x2 410 and the HP 350 G1. The Pro x2 410 lives up to its name as it’s actually a laptop and a tablet in one. It’s a “true” tablet in the sense that the keyboard can actually be detached so the screen portion can be used as a tablet. The device will be made available with several options, including a fourth-generation Intel Core i3 or i5 processor. Users can choose from either a 64, 128, or 256GB solid state disk for file storage. The Pro x2 410 also comes equipped with an Intel HD Graphics 4200 integrated GPU and HDMI 1.4a. The laptop-tablet hybrid is available now at $899.